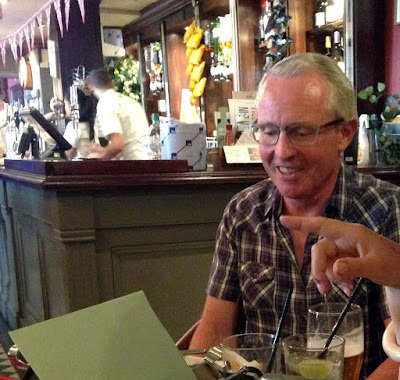 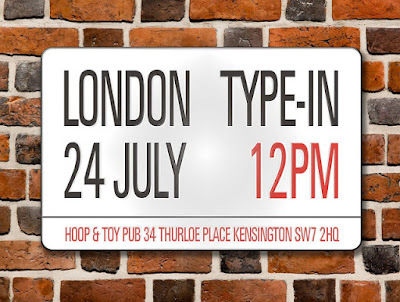 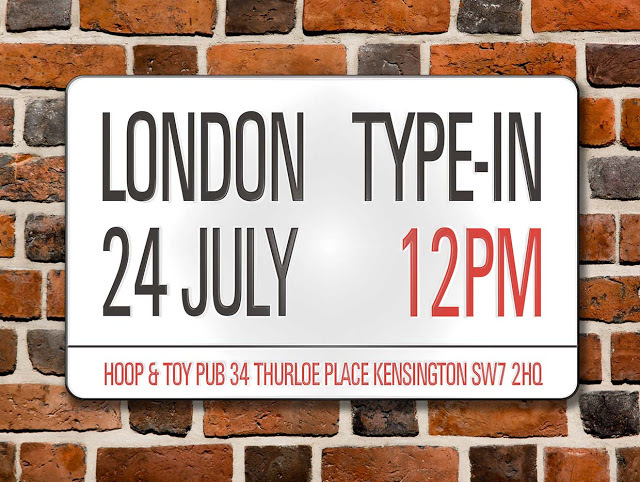 The type-in brought out a suitably eccentric and motley cast of insurgents for a friendly and free-spirited afternoon. 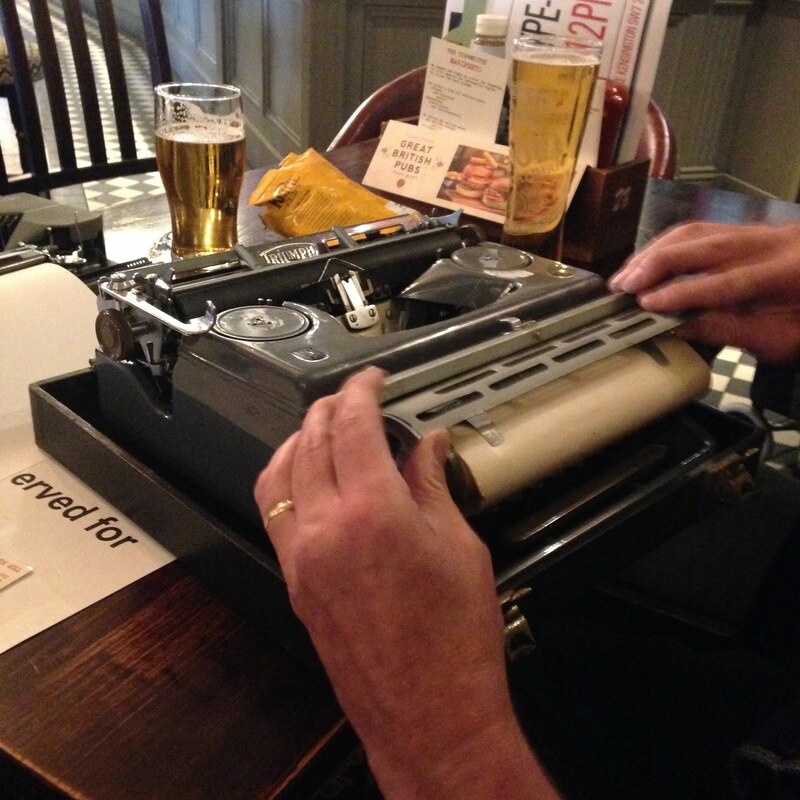 Here's Nick Fisher at his Rheinmetall. 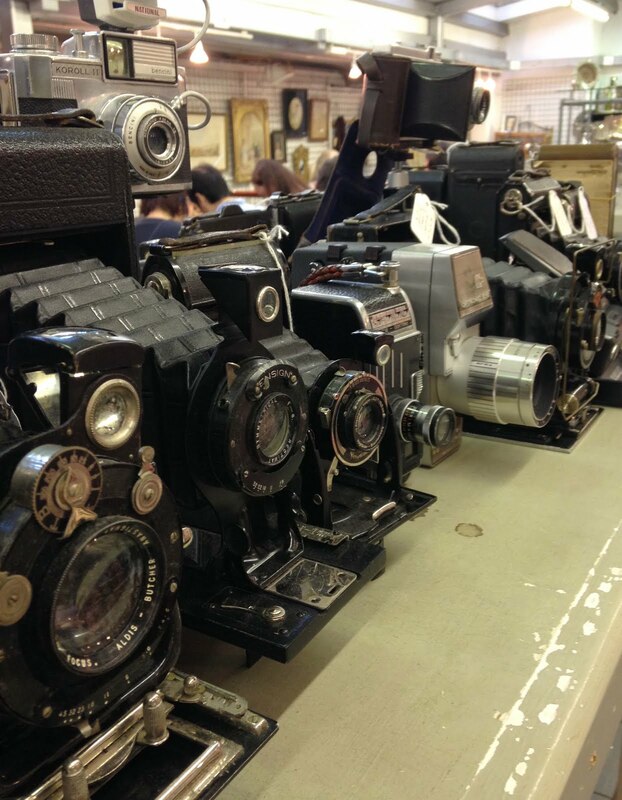 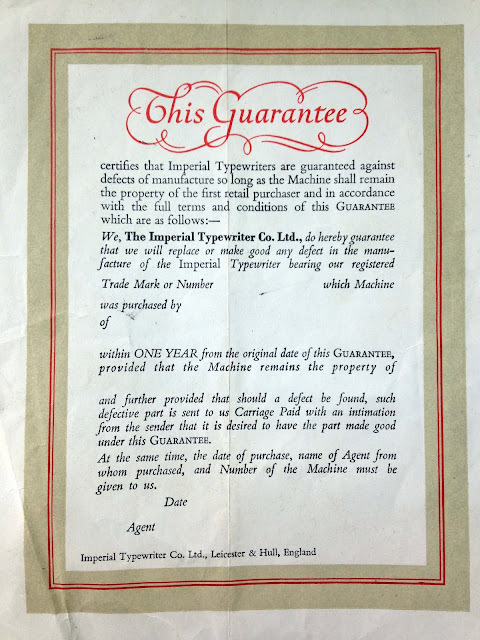 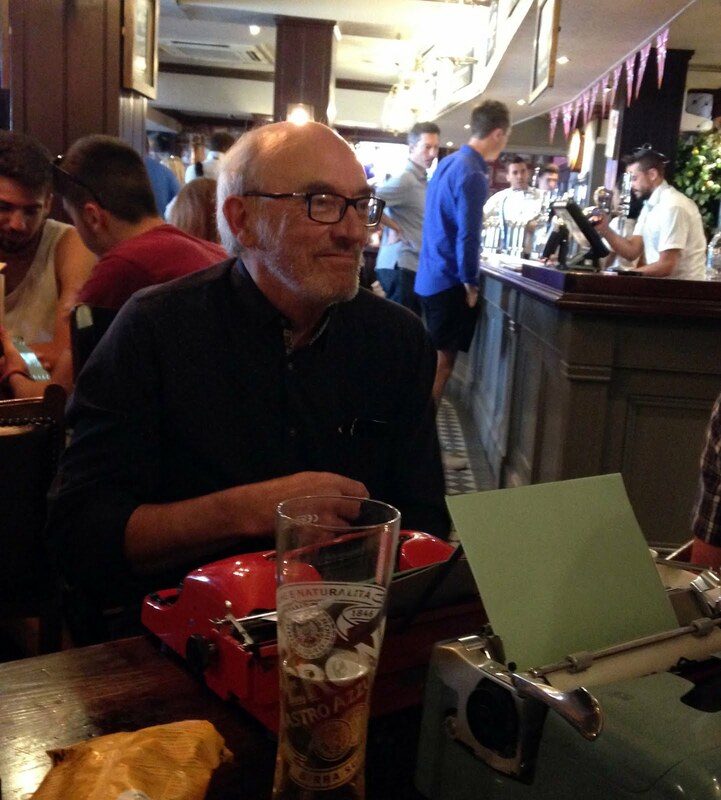 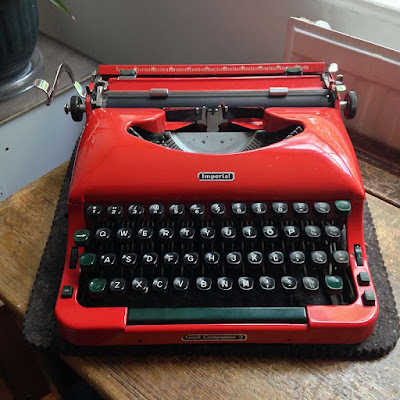 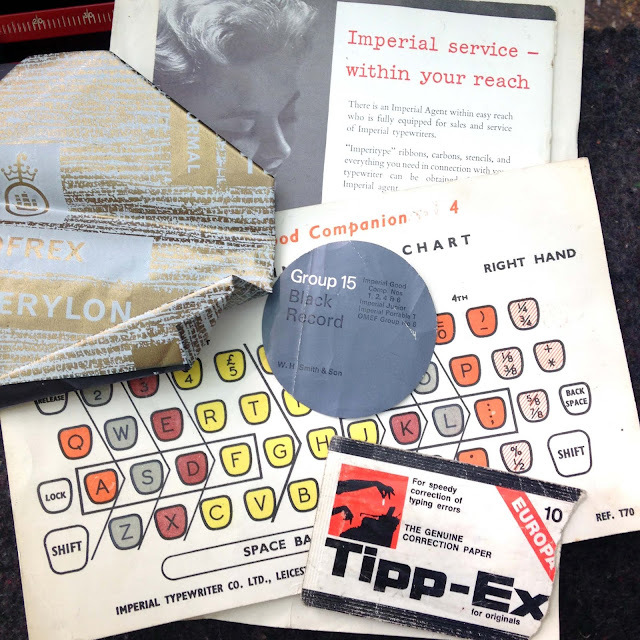 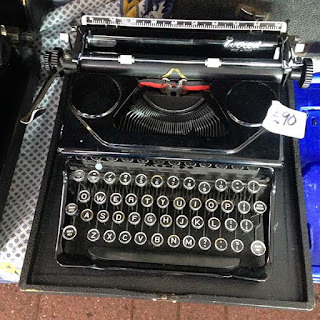 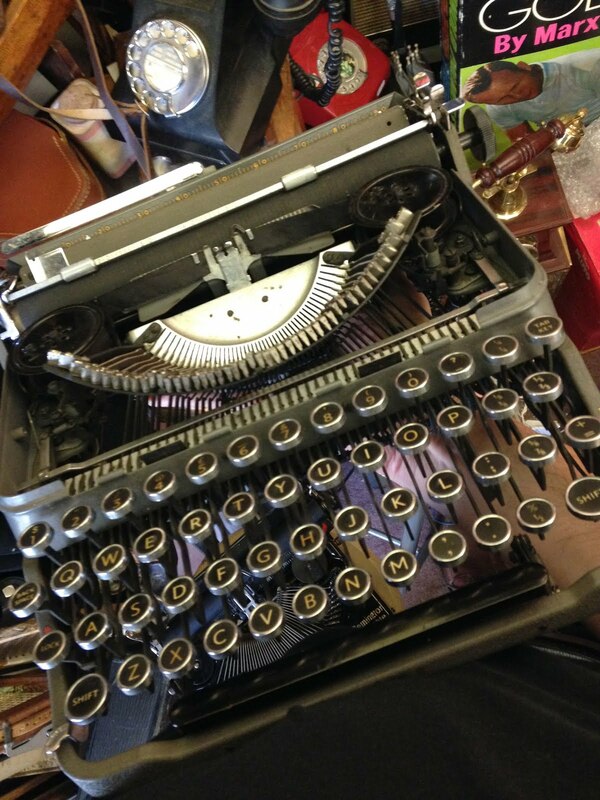 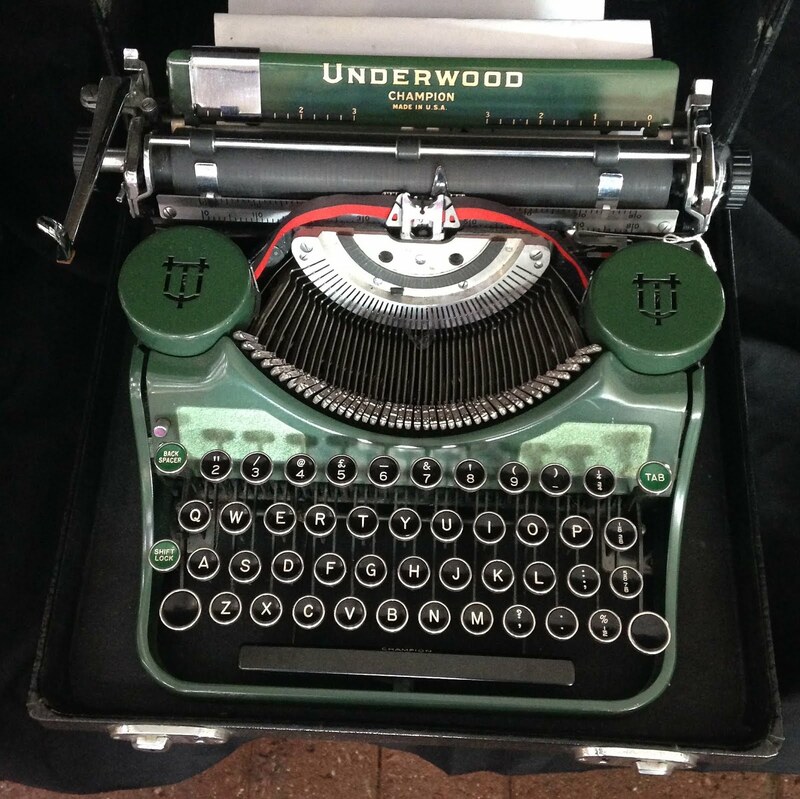 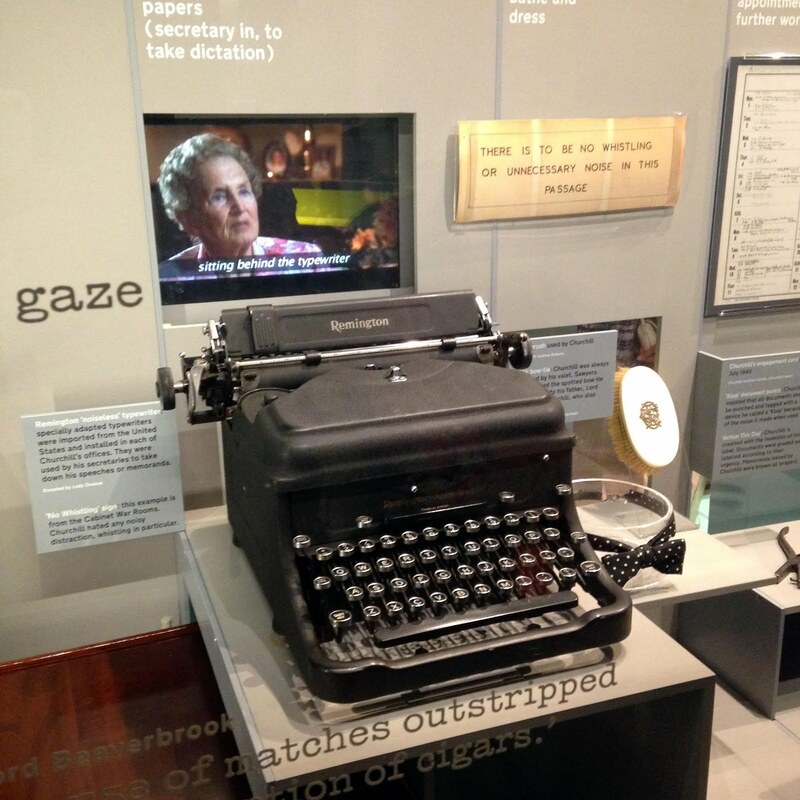 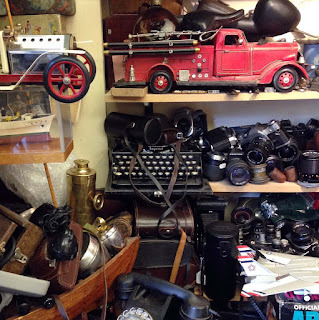 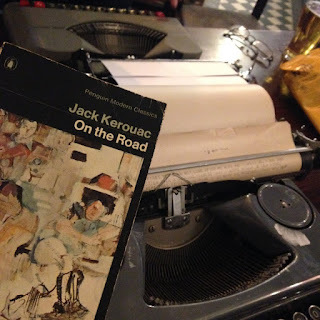 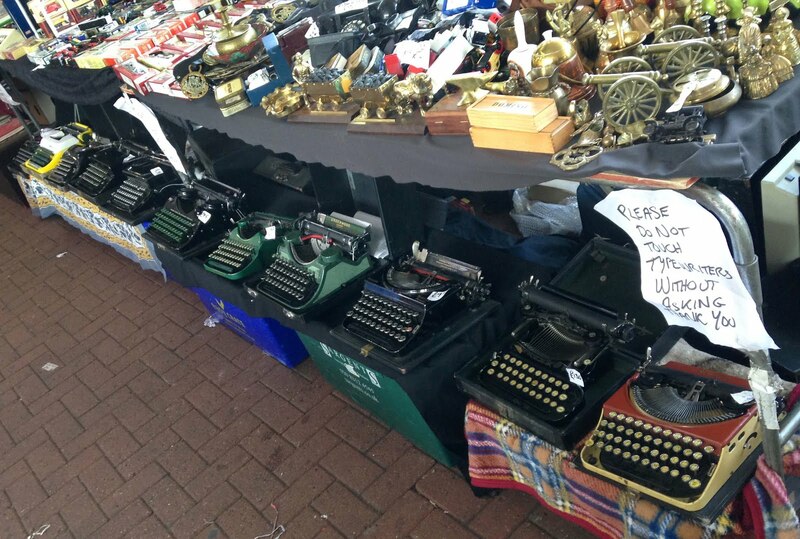 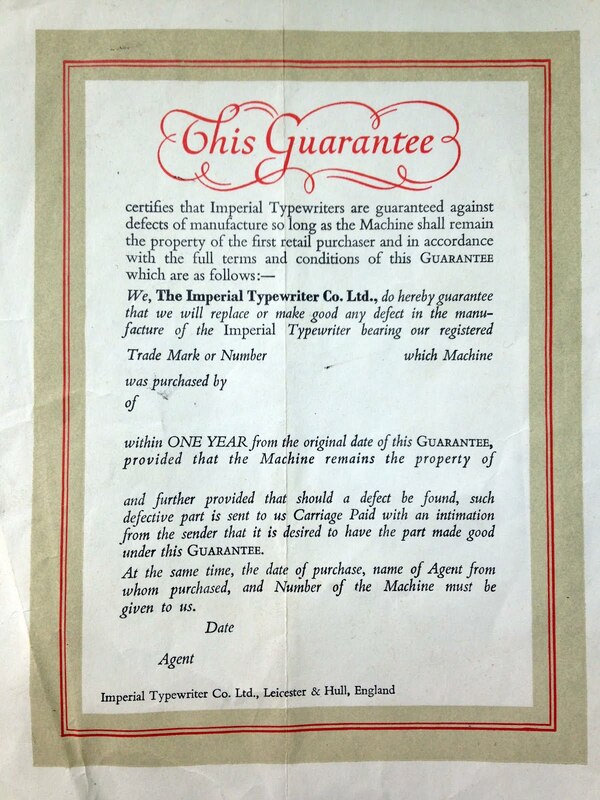 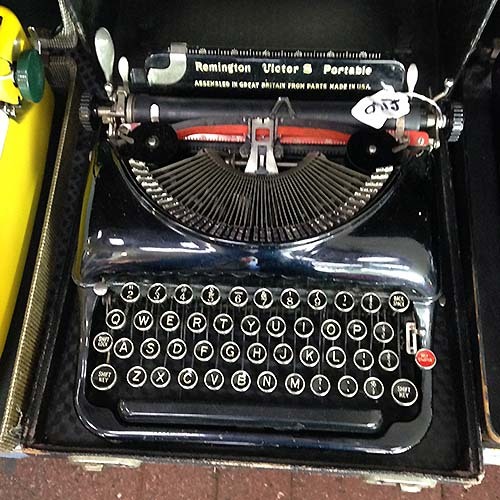 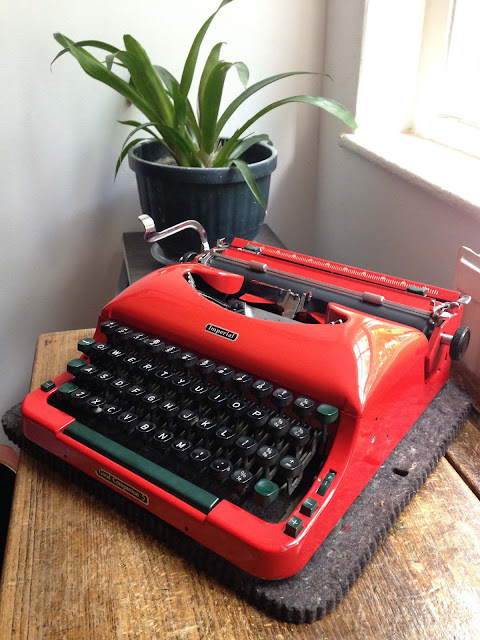 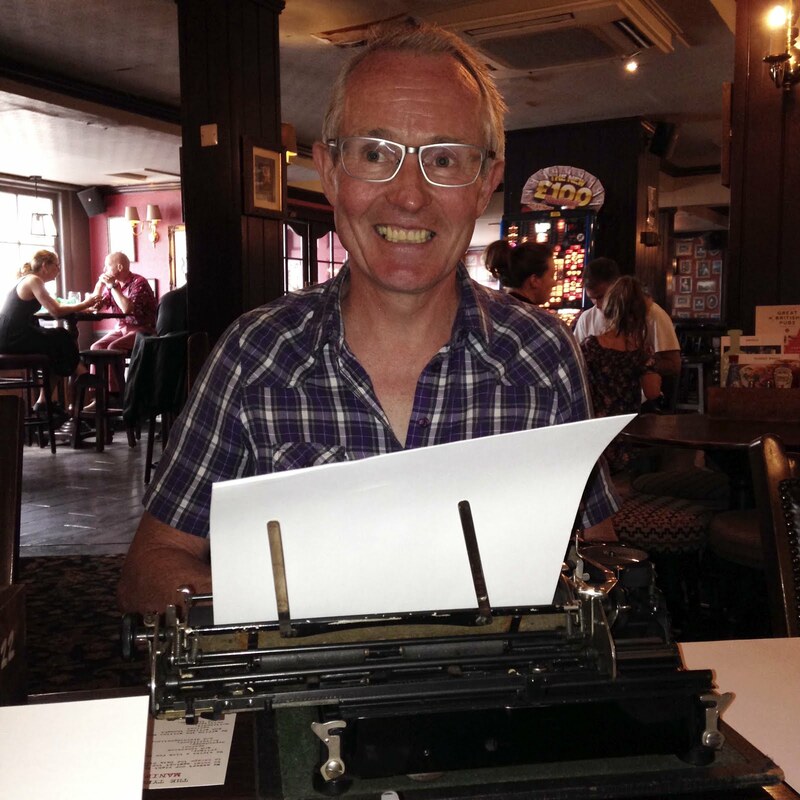 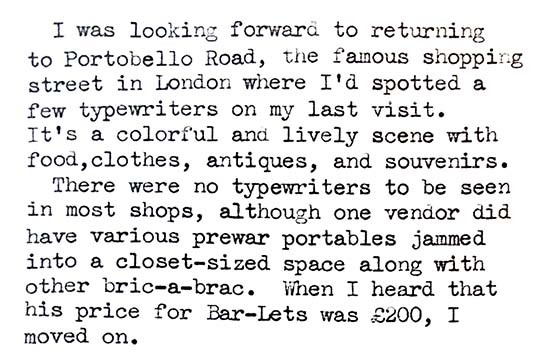 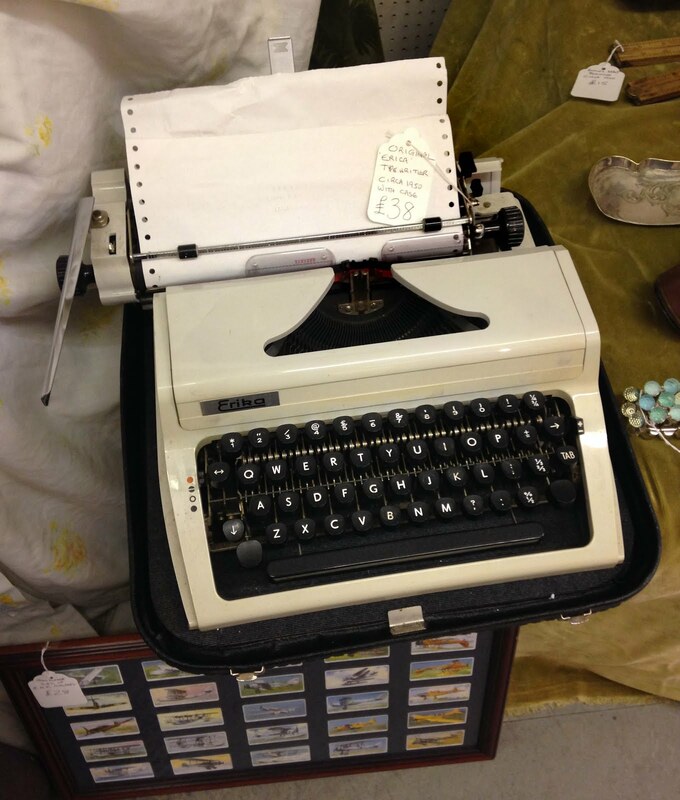 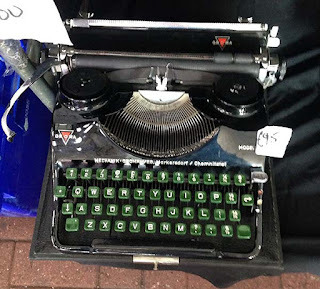 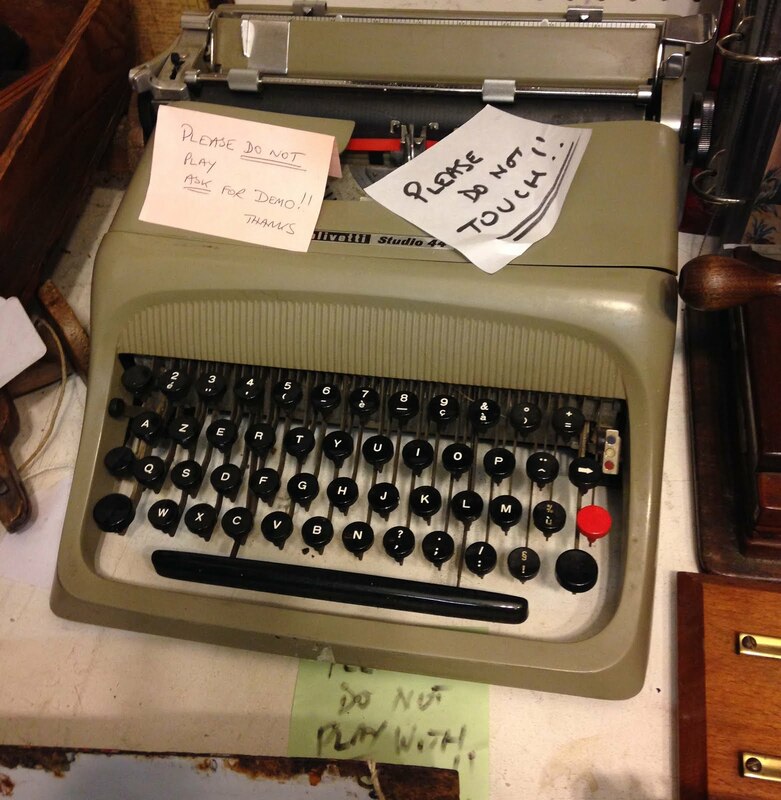 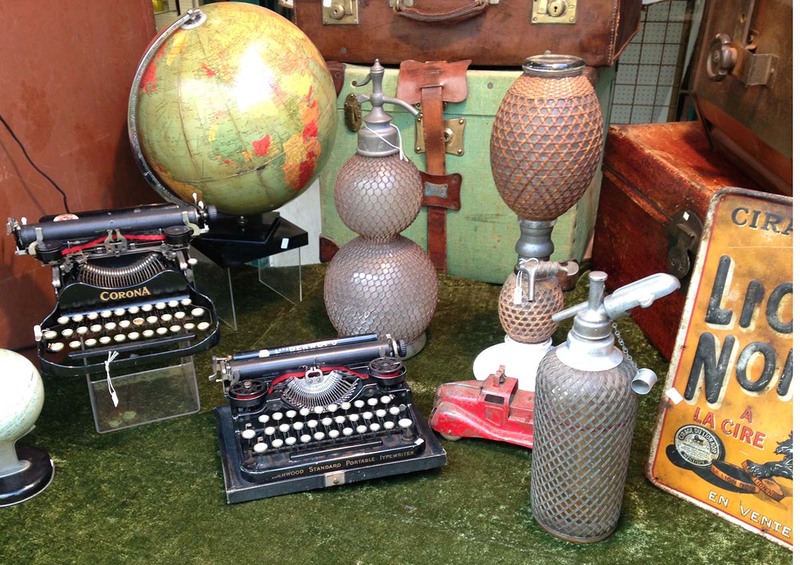 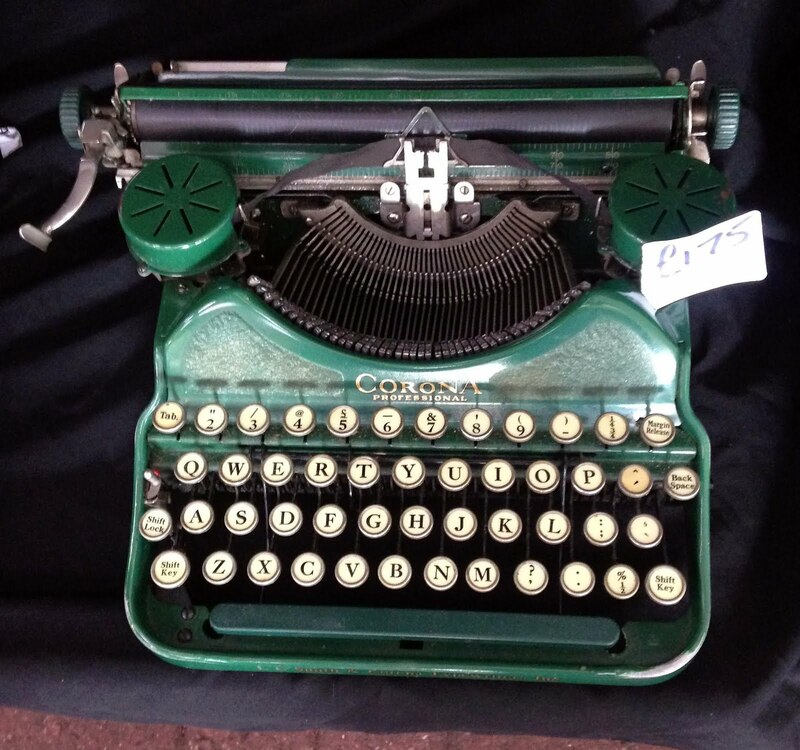 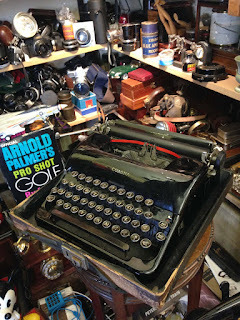 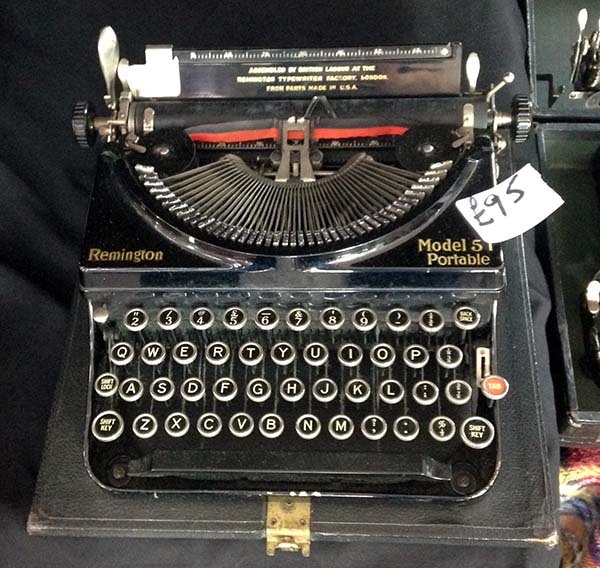 Nick lives in Swindon and is one of England's preeminent, longtime typewriter collectors. 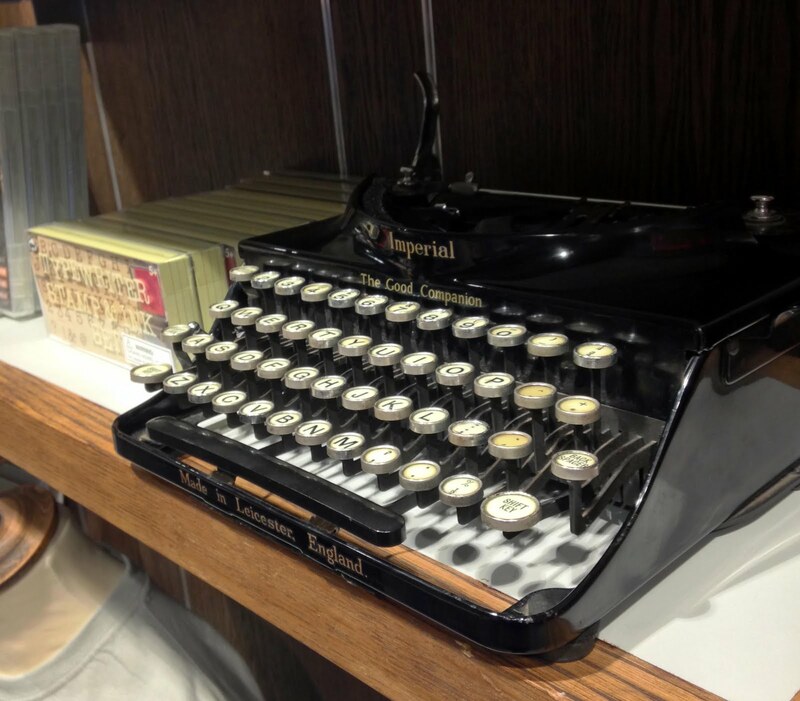 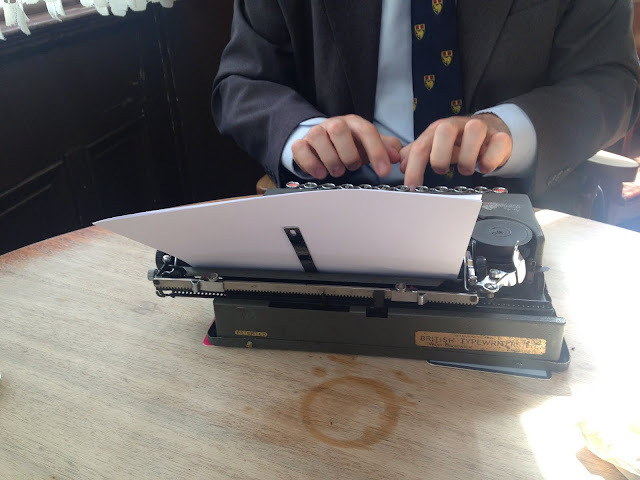 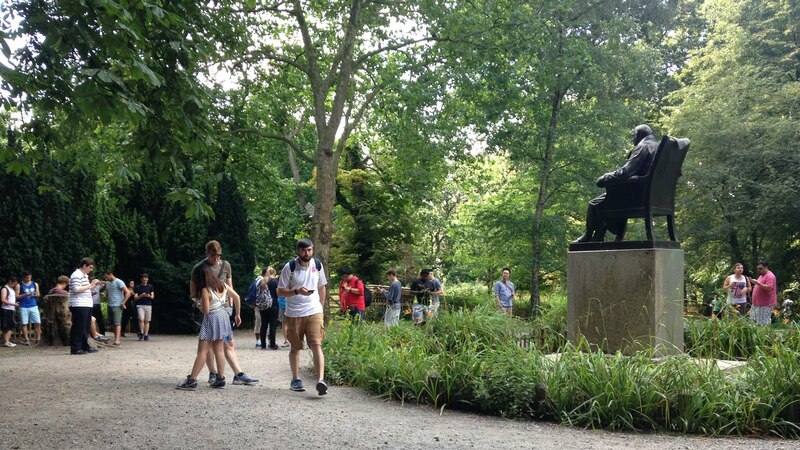 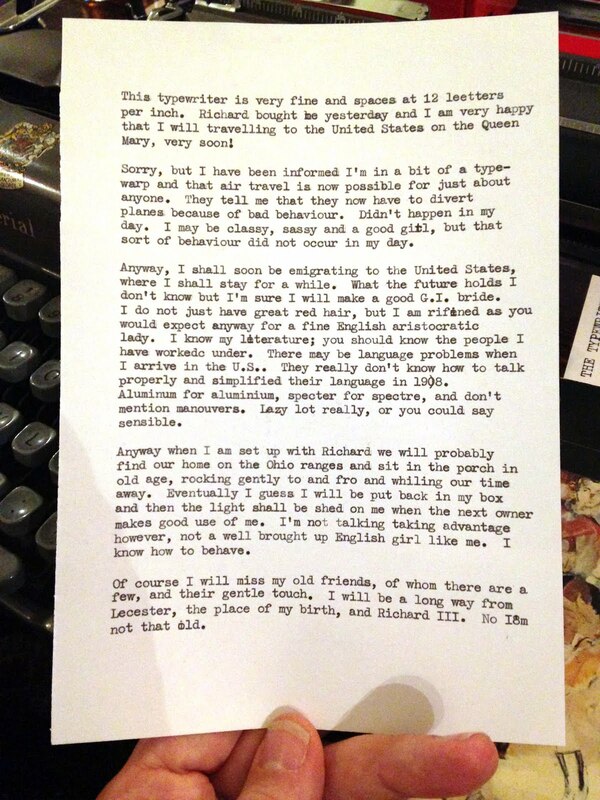 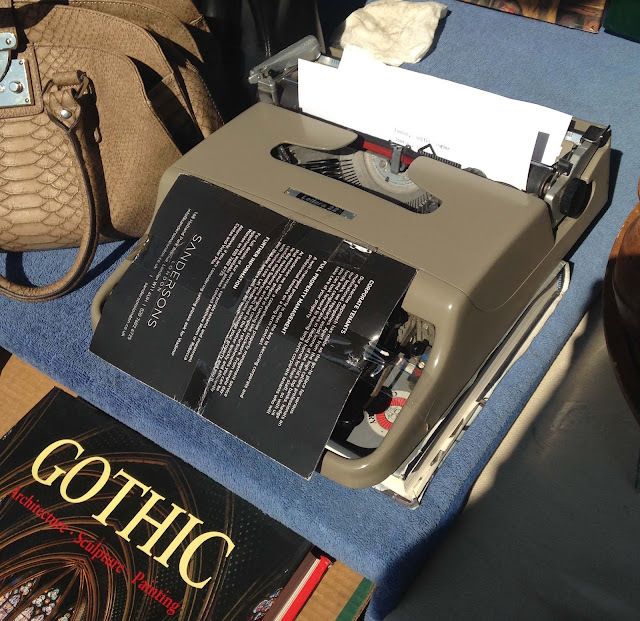 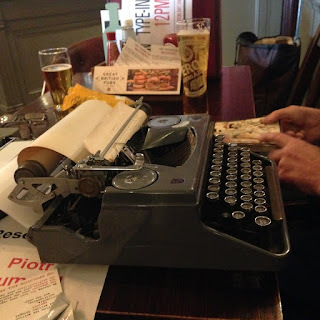 He writes a quarterly column for The Typewriter Exchange. I have to say I've never seen a device quite like this paper roll attachment before. 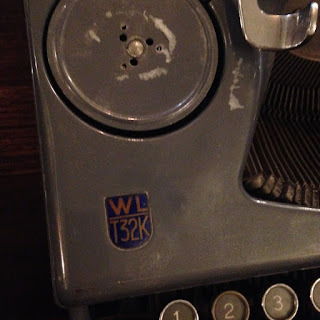 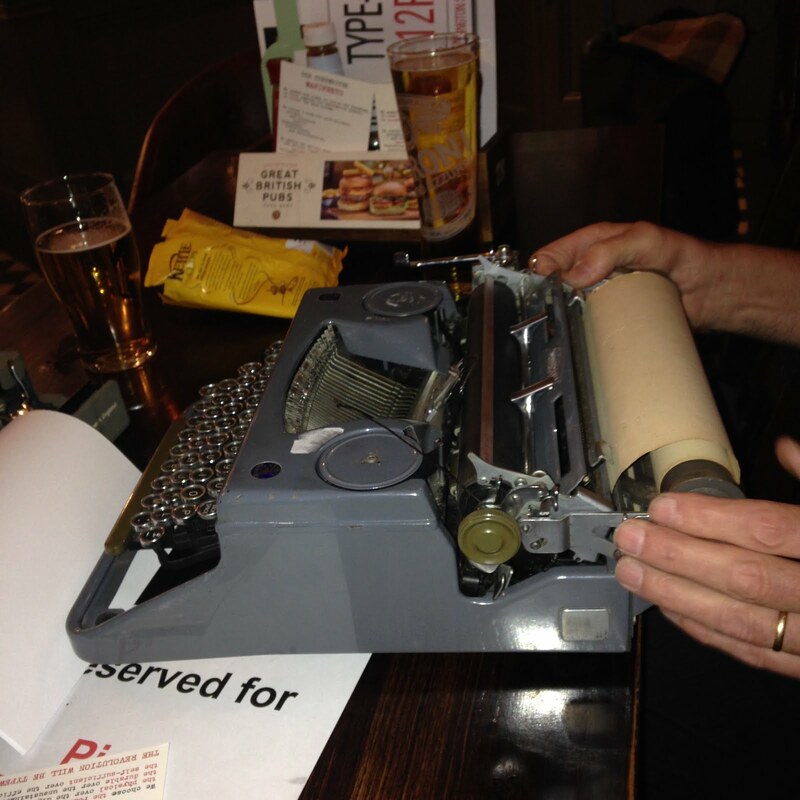 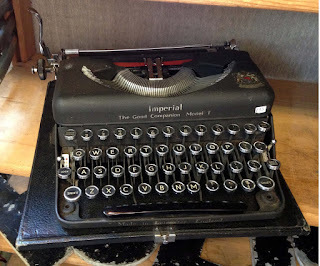 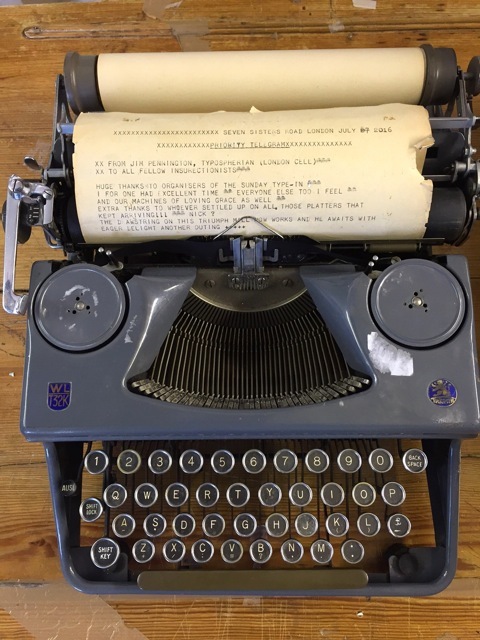 I expect this typewriter was made in Germany shortly after the war and exported to the UK. 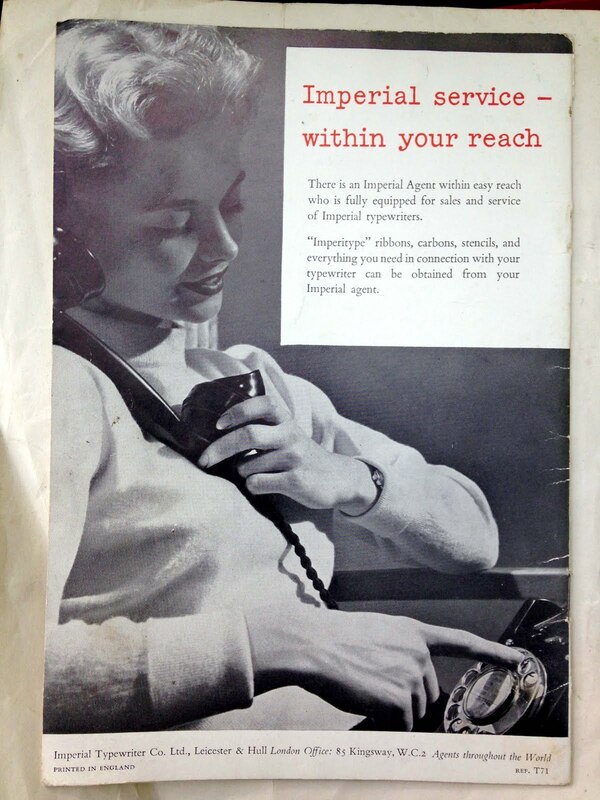 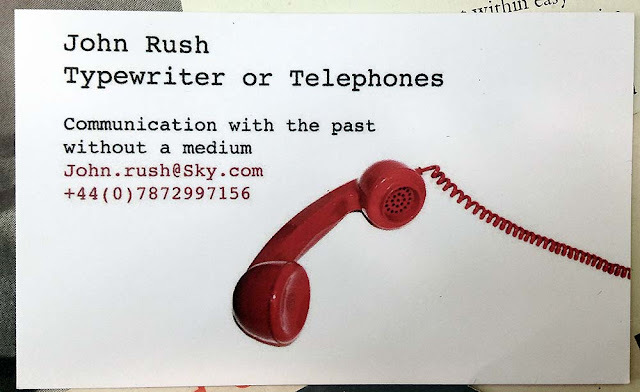 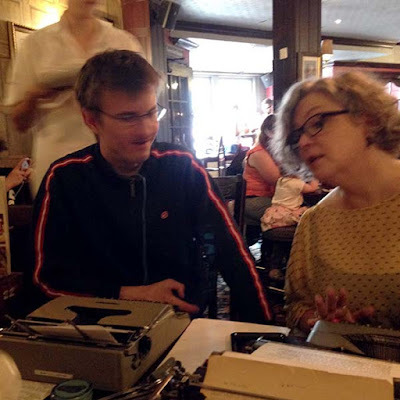 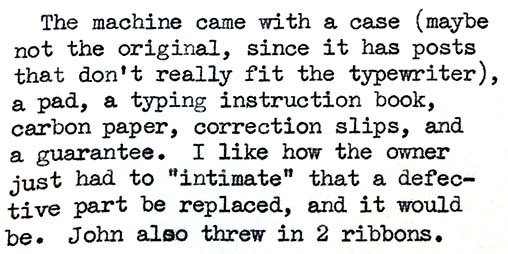 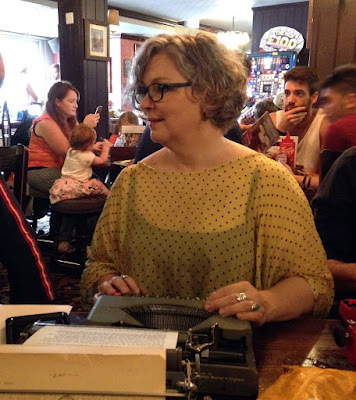 Katy Evans-Bush brought a classy postwar Groma, tried various other machines, and discussed writing with fellow typist Scott. This is only a partial record of the afternoon. 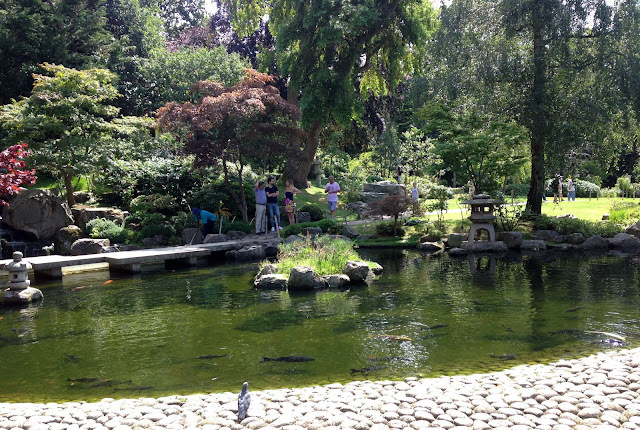 You can see Piotr's photos on his blog. 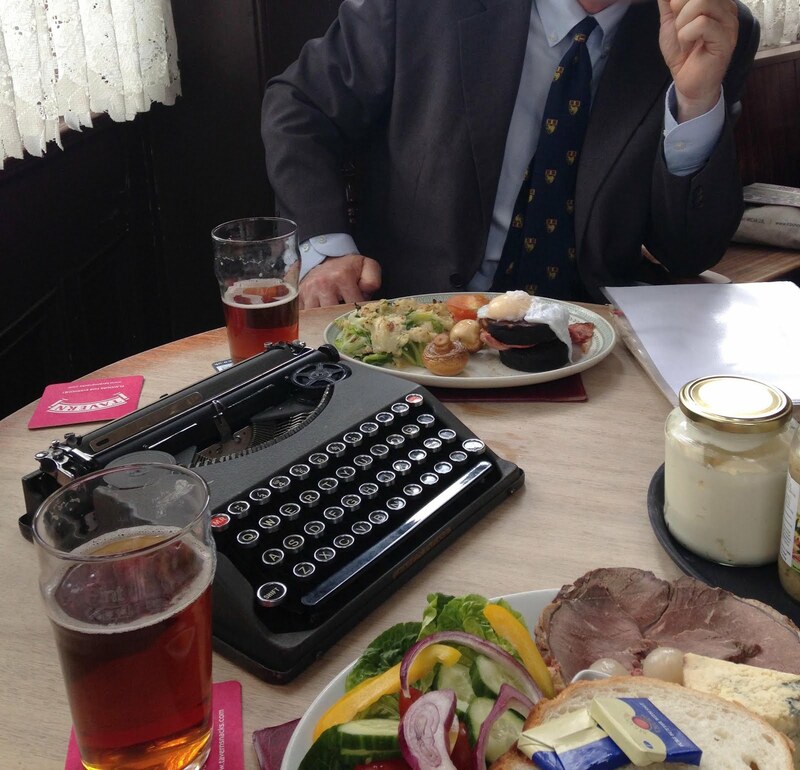 Here's a British scene for you: an Imperial Aristocrat, two pints, bubble and squeak, Stilton, and beef. 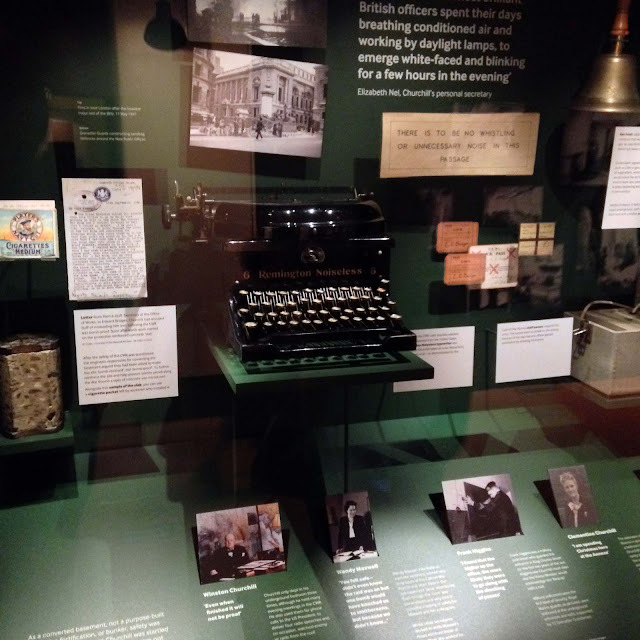 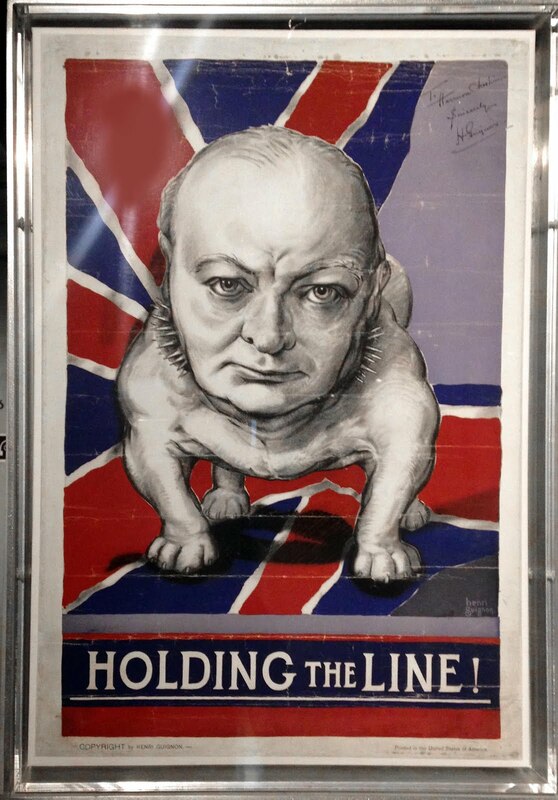 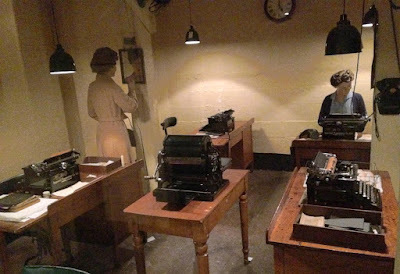 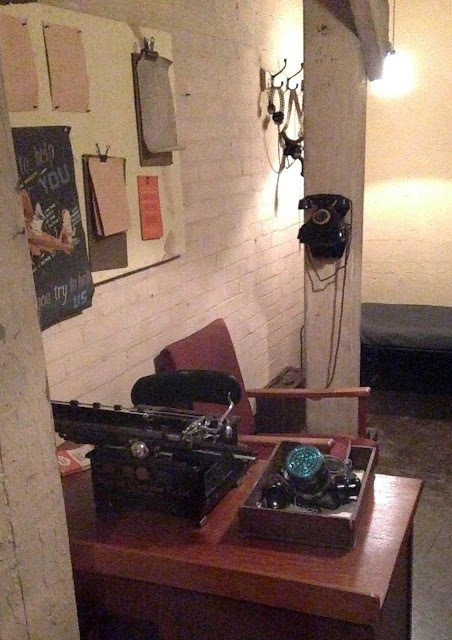 In other adventures, I visited the Churchill War Rooms, a secret bunker under government buildings where Churchill and his staff strategized. Many people lived here practically day and night. 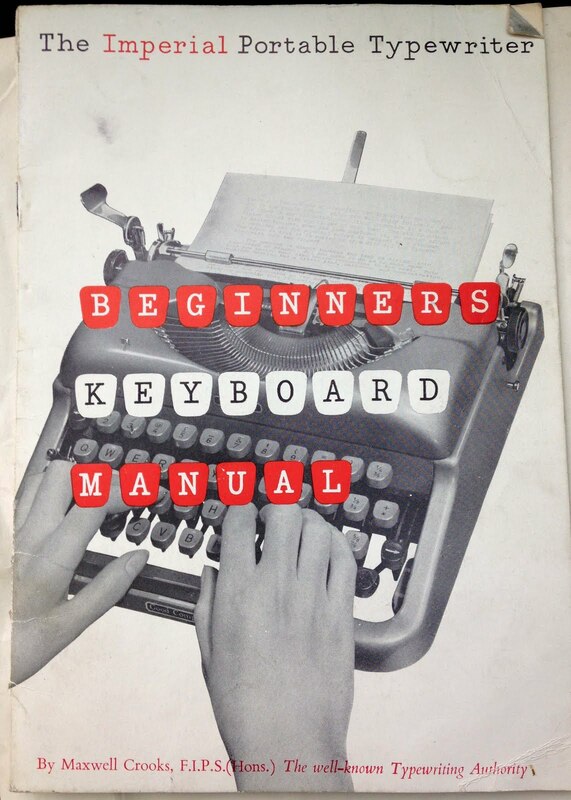 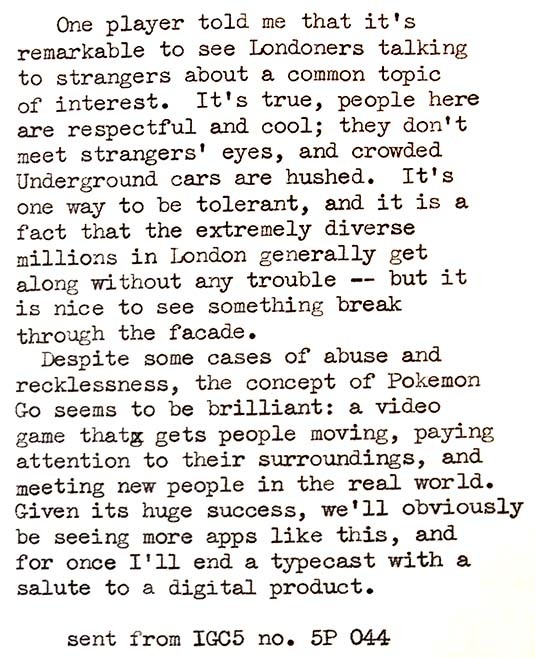 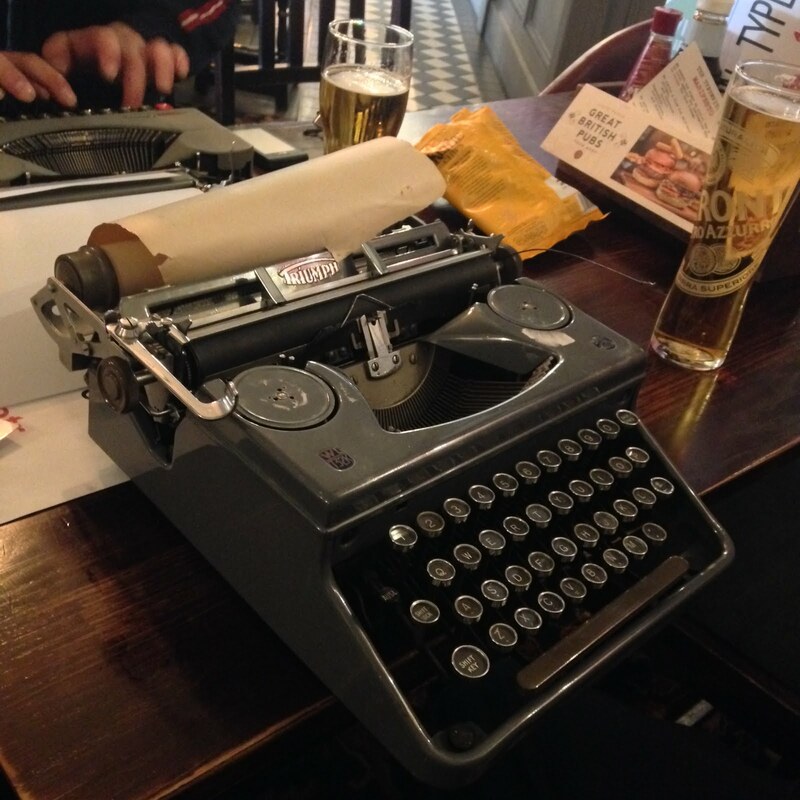 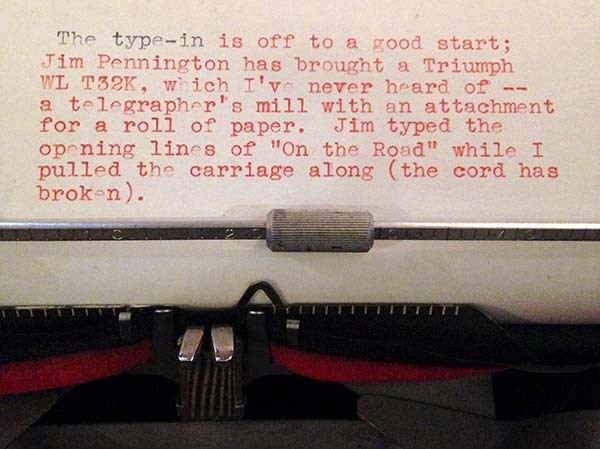 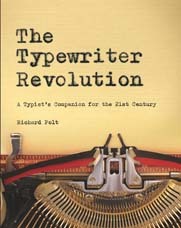 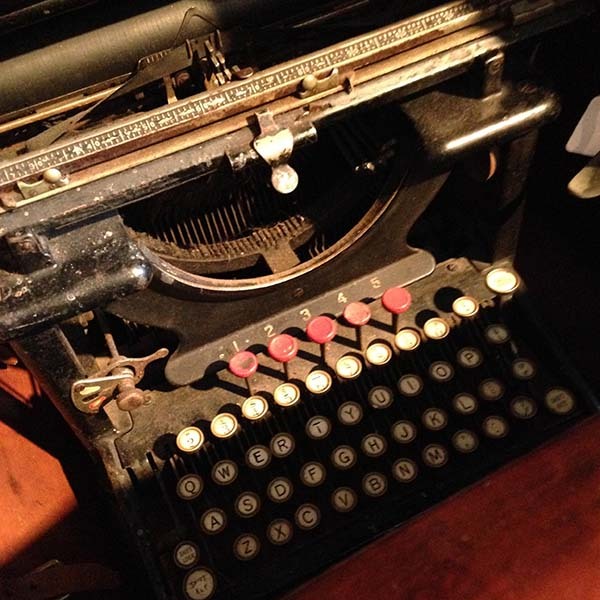 Naturally, typewriters were an essential tool. 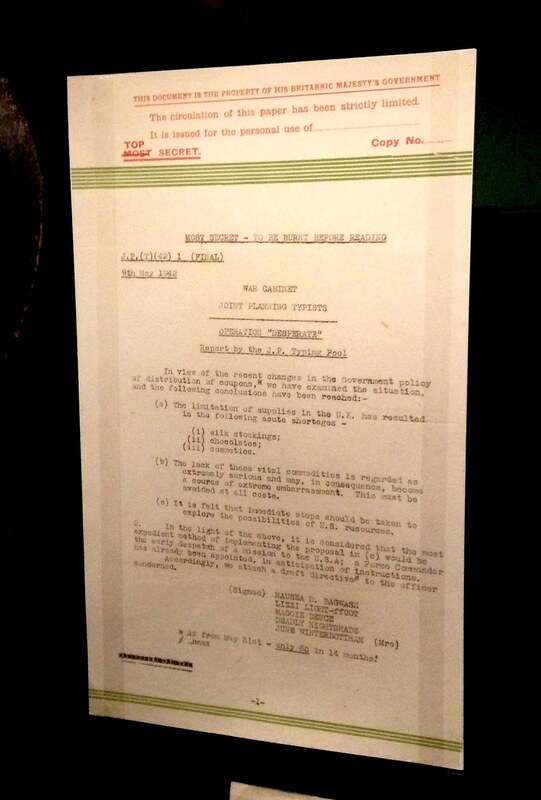 It's hard to take pictures down there because of the lighting and the glass, but here are a few glimpses. 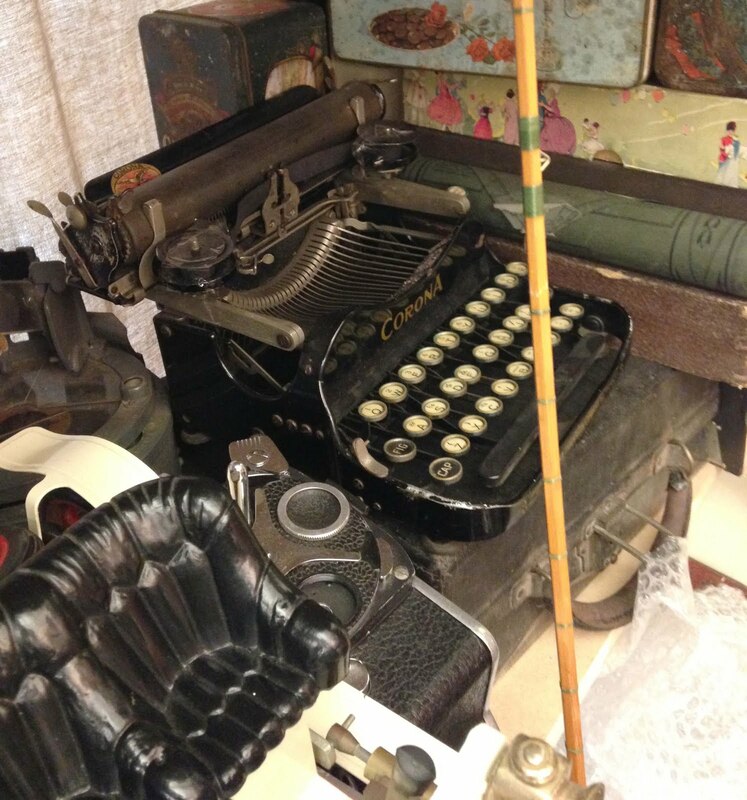 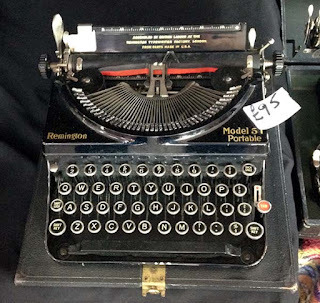 There were a couple of Remington Noiseless machines; Churchill had sensitive ears (NO WHISTLING signs were posted) and these typewriters were less offensive. Several of the rooms were equipped with magnificent black Imperials. There's even a little Imperial in the gift shop (not for sale, although you can get some rubber "typewriter" letter stamps). 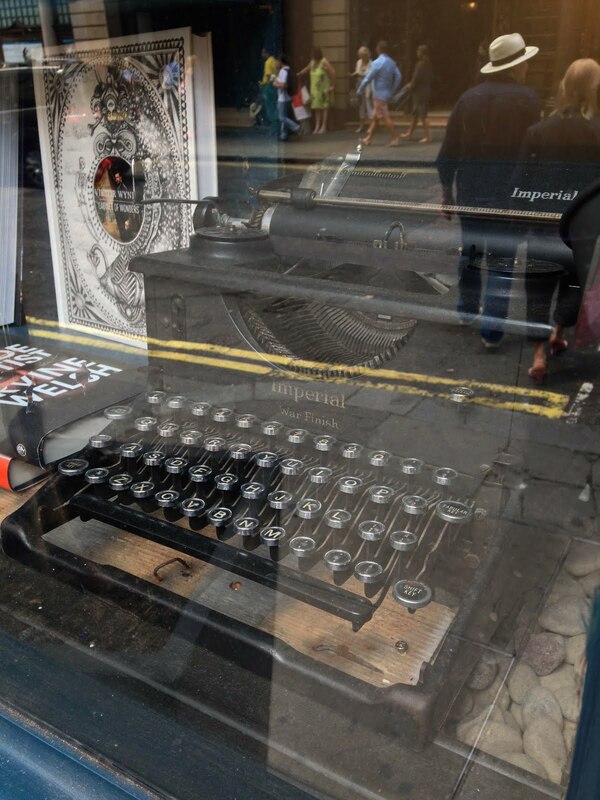 I end with a scene in a shop window. Having served its country nobly in times of war, this distinguished Imperial awaits the moment when it will serve again.